Without legal muscle to curb waste, advocates are working to change the norms of businesses and the habits of consumers. 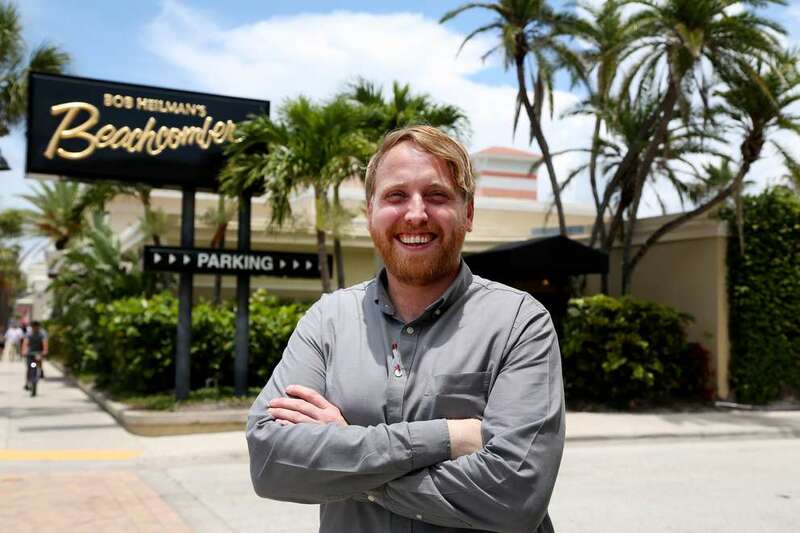 CLEARWATER BEACH — It began two years ago when Bob Heilman’s Beachcomber restaurant stopped using plastic foam cups and realized what a waste they had been all along. The 70-year-old family business then started serving straws only upon request. Customers barely noticed. Next to go were plastic bags. 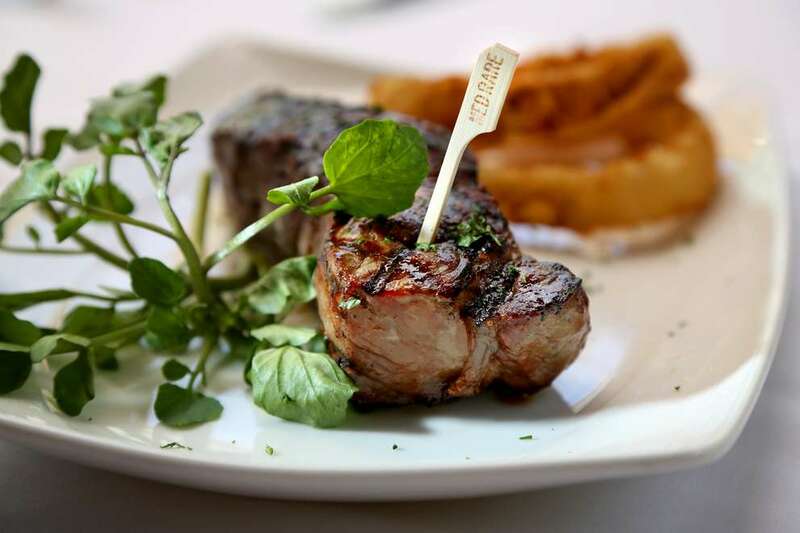 Now every temperature stick poked into a steak is recyclable wood, not plastic. The coasters under every beer and margarita are plant-based. Not only are all to-go boxes biodegradable, so is the restaurant’s toilet paper. Around the world, a growing number of cities and countries are banning straws, bags and other single-use plastic products, which never degrade and are polluting the environment in alarming quantities: An estimated 8 million metric tons of plastic waste ends up in the oceans every year. But Florida has not made it easy for local governments to crack down — a 2008 law prohibits cities from banning plastic bags and containers, and a 2016 law blocks bans on plastic foam. Without legal muscle to curb waste, bay area advocates are working to change the norms of businesses and the habits of consumers to drastically cut the amount of single-use products generated in the first place. The Suncoast Rise Above Plastics Coalition is a group of 20 local organizations that banded together three years ago to help restaurants and retailers make sustainable changes. Sixteen Tampa Bay businesses, including the Beachcomber, have received national Ocean Friendly certification through the coalition by voluntarily banning foam products and plastic bags, only providing straws and to-go utensils upon request, and enforcing recycling programs. 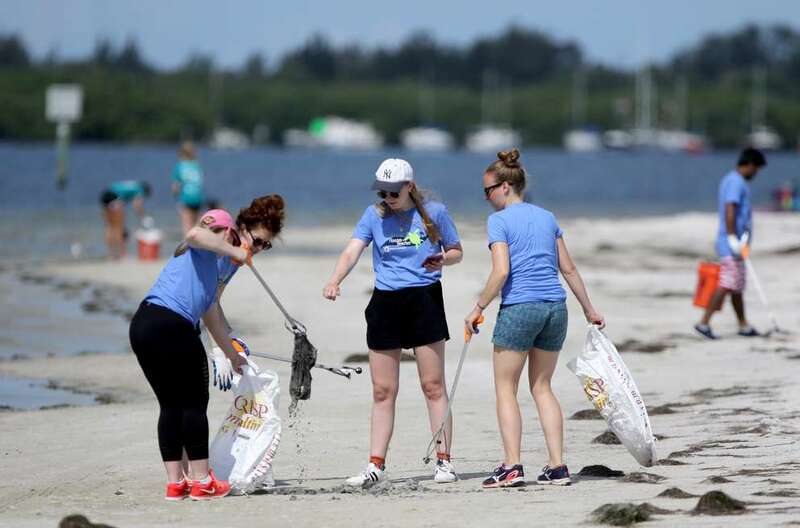 On a recent Saturday, a volunteer crew stood on the bank of McKay Bay in Ybor City, gloves and garbage bags in hand, and scanned Tampa Bay’s contribution to the global plastic pollution crisis. Too many plastic bottles bobbing in the water to count. A swirl of aluminum cans, to-go bags and foam cups floating in a greasy film. Like most garbage that ends up in Tampa Bay’s waterways, this trash was not thrown into this narrow section of McKay Bay directly. Plastic cups discarded on sidewalks or bottles tossed from car windows made their way into storm drains and were then swept into the watershed. If it weren’t for a strategically placed 90-foot Watergoat device, a thread of football-sized buoys netted together from bank to bank, the trash would have continued its journey into the mouth of Tampa Bay, some into the waters beyond. Mark Maksimowicz, who invented the Watergoat device 11 years ago after he began cleaning garbage from local waterways, said change will only occur if the severity of the pollution crisis shakes the public to its core. 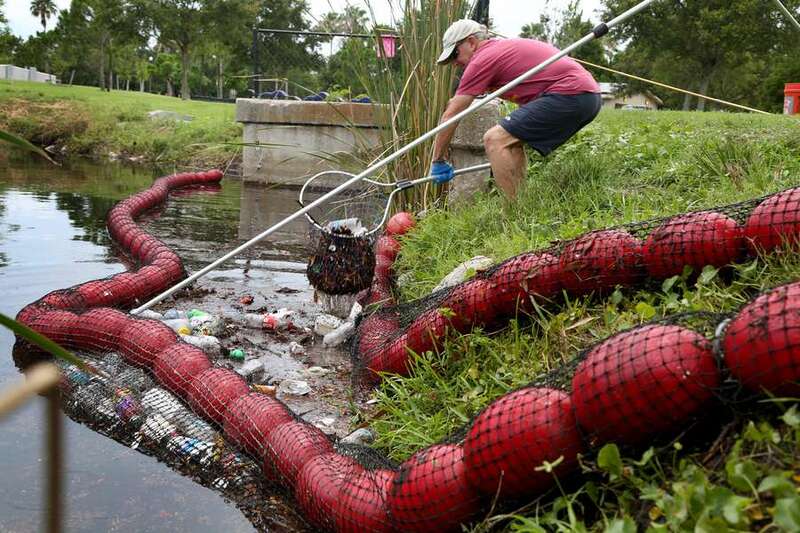 In May, the 13 Watergoats placed in watersheds throughout Tampa Bay caught an average of 142 pounds of trash each, with plastic bottles making up about 73 percent of the haul, according to Maksimowicz. Coral Gables was one of the first cities in Florida to ban plastic foam in 2015, just before a new state law went into effect prohibiting municipalities from such actions. After the favorable ruling, Coral Gables banned plastic bags in May 2017. The federation’s challenge is now pending in the Third District Court of Appeals. City Attorney Miriam Soler Ramos said the outcome could either embolden other cities to tackle single-use plastics with bans or keep them relying on voluntary measures. 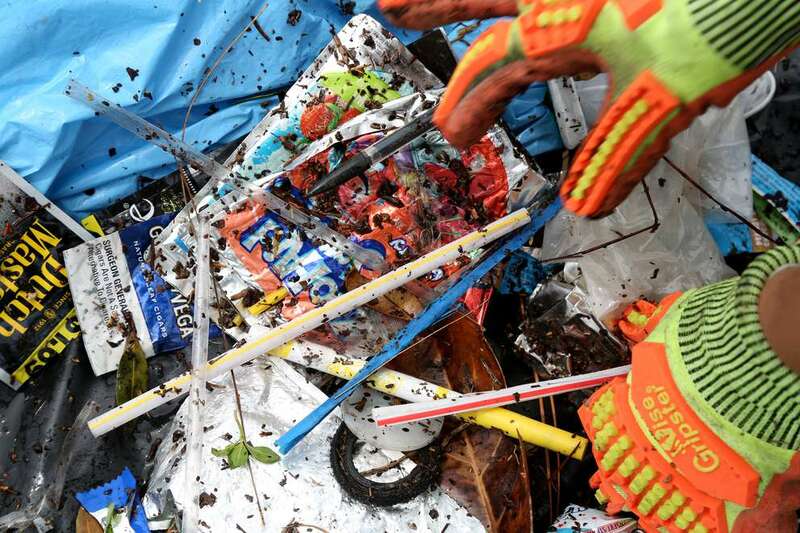 “If it had not been challenged, I think we would have seen a lot of cities lining up to do this,” she said, noting some cities may interpret the 2008 state prohibition on banning “auxiliary containers, wrappings, or disposable plastic bags” to include straws. State Sen. Linda Stewart, D-Orlando, said she intends to file a bill next year to repeal the state prohibition on plastic bag bans. One filed in 2018 died in committee. In voluntary efforts to curb plastic waste, disposable straws have become a go-to target locally and internationally. But straws make up only a fraction of plastic debris in the environment, and some advocates are thinking bigger. RELATED: In the battle against plastic straws, is banning them a good idea? In St. Petersburg, about 35 businesses in the Grand Central district have pledged to go plastic bag free for the month of October. The Rise Above Plastics Coalition is using a grant to supply the businesses with paper bags and plans to collect data on consumer reactions to share with local governments, said coalition steering committee member Kira Barrera. The Clearwater City Council passed a symbolic resolution in May encouraging businesses to participate in waste reduction efforts. Mayor George Cretekos said it makes more sense to reward good behavior than to attempt a ban that could be challenged in court or by public opinion. Almost 50 restaurants in Clearwater have joined the Strawless Summer Challenge, only giving out straws upon request through August in exchange for advertisement on the city’s website and social media. David Hastings, professor of marine science and chemistry at Eckerd College, said government bans are far from radical. About seven years ago, Hastings launched a study of microplastics in Tampa Bay. It started when he and a group of students were conducting a routine analysis of plankton and found bits of plastic in their nets. A marine chemist, Hastings now estimates there’s an average of five pieces of microplastic per gallon of water in Tampa Bay. That’s about 9 trillion pieces of plastic smaller than an eighth of an inch contaminating all Tampa Bay. His research team is finding these particles 5,000 feet deep at the bottom of the Gulf of Mexico. These tiny pieces of plastic are consumed by plankton and other marine life, which are then eaten by us. “I think we are going to figure this out, but are we going to figure this out now or 10 years from now or 30 years from now?” Hastings said. Since earning its national Ocean Friendly certification in January, Beachcomber co-owner Bobby Heilman said staff is still finding plastic products to cut that never dawned on them before as waste. He walked by the bowl of toothpicks on the host stand for years before realizing every single one didn’t really need its own plastic wrapper. The same went for those individually wrapped peppermints by the door. He said more casual beachfront businesses may have a harder time transitioning away from plastic. But his restaurant has already hosted one open house to offer tips and advice. Sources: Plastic waste inputs from land into ocean, 2015; Production, use, and fate of all plastics ever made, 2017; Ocean Conservancy; Watergoat inventor Mark Maksimowicz. 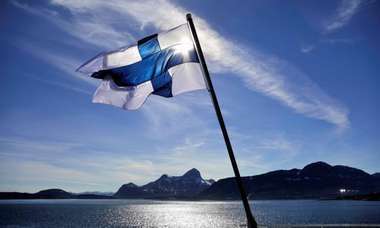 What are the happiest countries on earth, and why isn’t the U.S. one of them? 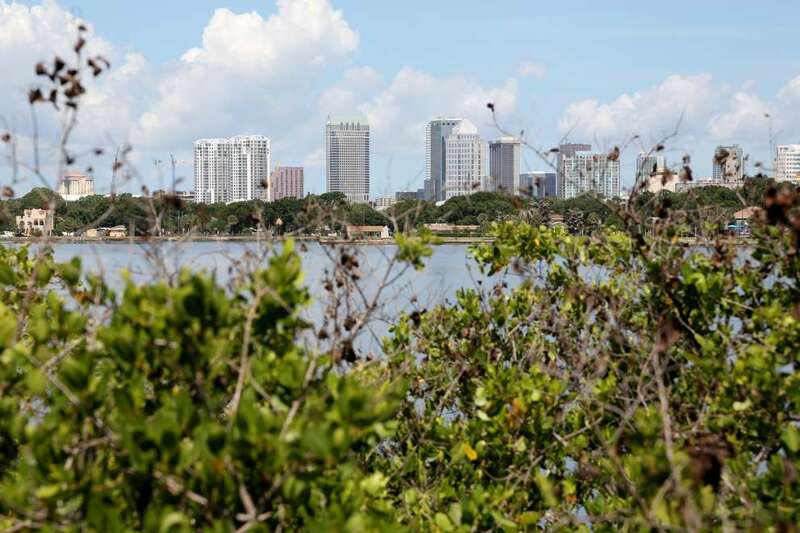 Tampa Bay is more affordable than any other urban area in Florida, according to a new report. 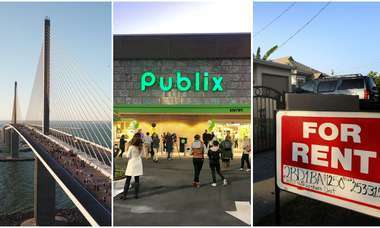 Tampa, Orlando, Lakeland and Jacksonville are among the most wallet-friendly cities to retire, according to a new survey. 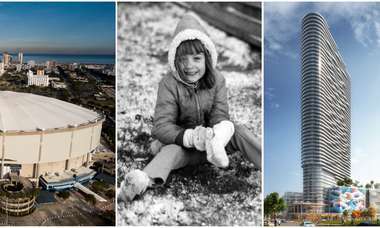 Here’s what readers had to say about some of the biggest stories of the past week. Violence and fraud are a few reasons why.